A group of fabulous stamping girls and I have teamed together to bring you a LAUNCH EXTRAVAGANZA to welcome the brand new and SUPER FABULOUS 2011-12 Stampin' Up! Idea Book and Catalogue. It is going to be one fantastic afternoon and we would love you all to come along (may be a bit harder if you're not in Perth though- **smile**). Everyone who comes gets a showbag with their own copy of the brand new catalogue and other goodies. 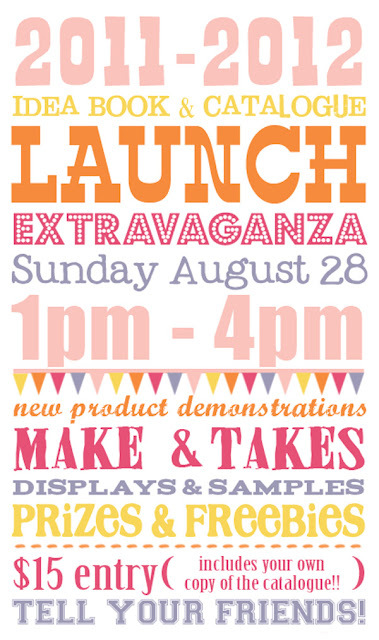 There will be gorgeous displays and samples to give you lots of inspiration - so make sure you bring your cameras. 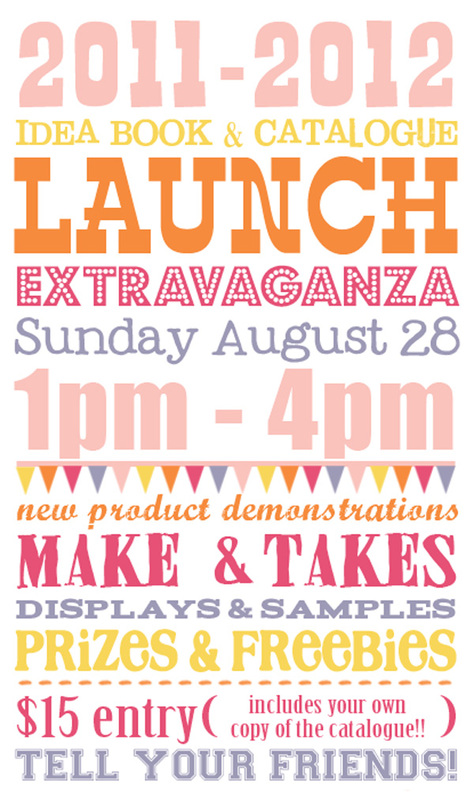 Product demos, prizes, yummy food and SO SO SO much more. Places must be pre-booked and paid for, which needs to be done by August 21st to confirm your place. With all the fun stuff we have in store, you’re not going to want to miss out, so hop to it! friend that you bring along will earn you an extra ticket in the super duper prize draw on the day! To book your spot(s), be sure to contact me asap.